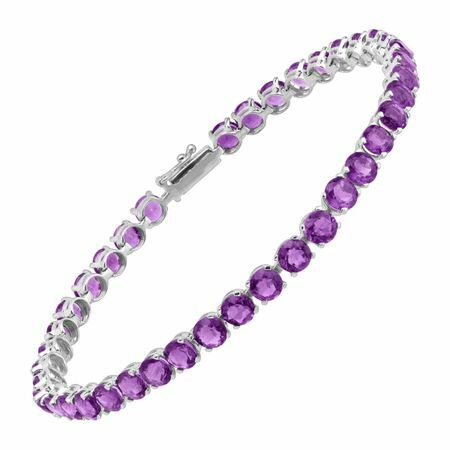 This sophisticated tennis bracelet will have you strutting your stuff wherever you go! Also makes a wonderful gift for the February-born woman in your life. 39 round-cut natural amethysts, totaling 7 3/8 ct, are lined side-by-side in a setting of 14K white gold. Piece measures 7 inches in length and features a box clasp.